A dry bag is a very convenient and multi-purpose item to have on your next outdoors trip, especially if you know there will be wet conditions. When you're heading to the beach, going on a boat, or just walking around in the rain, simply drop whatever needs to be kept dry into the bag, roll the top a couple of times, clip it together, and you're done. If you don't know what weather will be like on your travel day, it's smart to keep a two-gallon dry bag rolled up in your day pack at all times. It takes up basically no room and is a good, cheap insurance policy against the whims of the travel gods. Of course, the best travel gear is good for more than one thing, and a dry bag is no exception. Here are five other ways it can come in surprisingly useful when you're on the road. Separating dirty clothes from clean ones is an annoyance when living out of a suitcase, especially if those clothes are wet or soiled. If you've got a dry bag, though, it's far less of a problem. Roll your dirty laundry up to save space, then stuff it inside the bag. Clip the top if you're worried about odors, then keep it tucked away at the bottom of your luggage until you get home or find somewhere to wash your clothes. Managing the clutter of chargers and cables can be frustrating on the road. They always seem to take up more room than they should and get snagged on everything else in your suitcase. The sturdy material prevents stray plugs and prongs from poking straight through it, and the waterproofing is an obvious bonus. It's also useful to have all your random electronic accessories in one place, so you don't need to tip everything out of your suitcase to find your phone chargers in a hurry, or to satisfy the TSA agent as to exactly what's in your carry-on. If you've ever been stuck with an airport delay, long layover, or dubious bedding in your hotel room, you'll appreciate what a difference having your own pillow makes. Sure, you could carry around a travel pillow or dedicated inflatable version if you like, but when you're in a bind, a dry bag works almost as well. Just fold the top over once or twice, clip it together and lay your head down. It doesn't need much air inside—the pressure of you lying on it compresses the bag well enough to create a passable pillow for a few hours. Although it's no substitute for a real pillow, it's a lot better than trying to sleep with your head on dirty seats or the carpet in airports and bus stations. Struggling to stay in shape while traveling? If you're a fan of kettlebell-style workouts, but don't fancy the idea of trying to fit one in your luggage, a dry bag may be just what you need. Sure, they're usually meant for keeping liquid out, but they do an equally good job of keeping it in. Simply fill the bag up with water to close to the top, fold the top over two or three times and you've made yourself an impromptu kettlebell. Even better, because one liter of water weighs one kilogram, it's easy to know how much you're lifting. A full eight-liter dry bag, for instance, will weigh around 8kg (~18lbs). Need to lift more weight? Just buy a bigger bag! Finally, if all that souvenir shopping has left you struggling to fit everything back in your suitcase, a dry bag can help there as well. 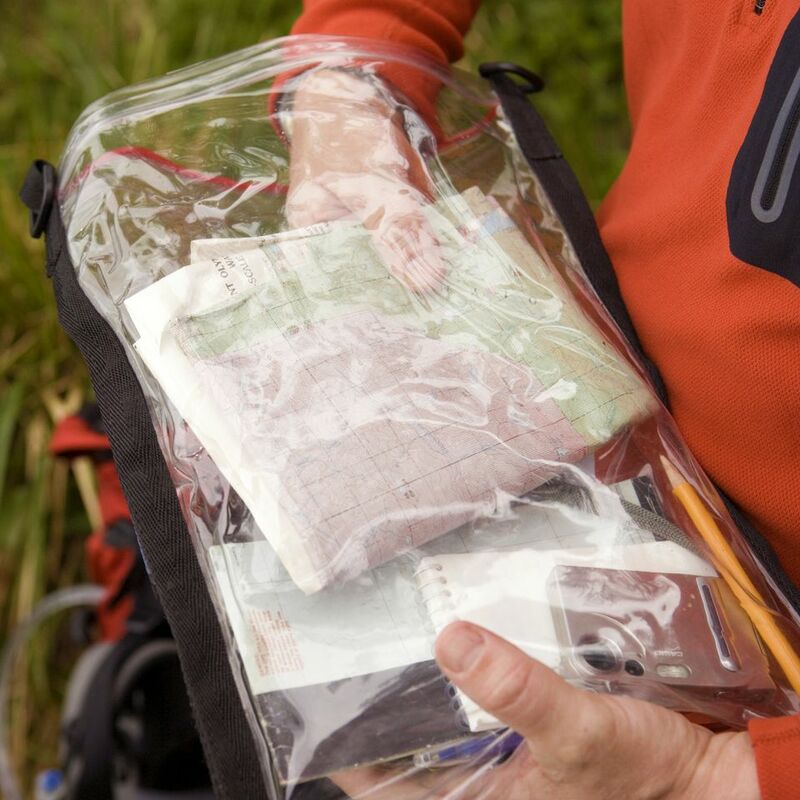 Companies like Sea to Summit offer dry bags with permeable membranes that let air escape when the bag is compressed but still keeps the water out. This means you can put clothes and other easily-squashable items into the bag, then cinch and compress it down to save a bunch of luggage space. For a good basic dry bag, try the Sea to Summit Lightweight Medium Dry Sack. You can go up or down a size as needed, depending on what you need to store in it, but this capacity is about right for most travel requirements. Since they're relatively inexpensive, consider buying two—one that always lives in your day bag, the other for cables, laundry and other uses in your suitcase.